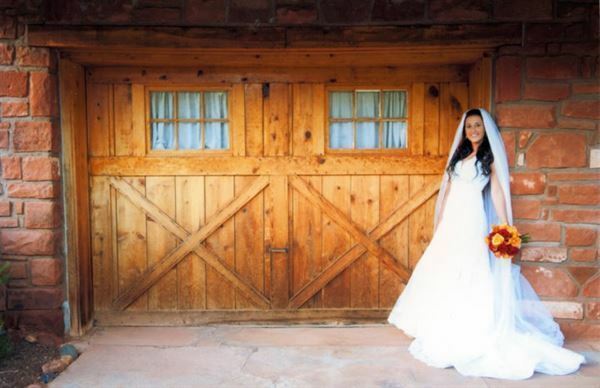 Nestled in a quiet neighborhood in Uptown Sedona, the Sedona Heritage Museum and Jordan Historical Park provide a charming atmosphere for your wedding ceremony. Listed on the National Register of Historic Places, the unique original buildings add a sense of place to your wedding. You are welcome to stop by the Museum to experience our park setting in person. Call or email to discuss the details and see how affordable a spectacular wedding ceremony in Sedona can be. The red rocks of Sedona provide a stunning backdrop for your wedding ceremony, and the gardens offer colorful and intimate settings for photos. Start your memories at this exclusive location with a unique blend of past and present. You will cherish your photos for all the years to come.